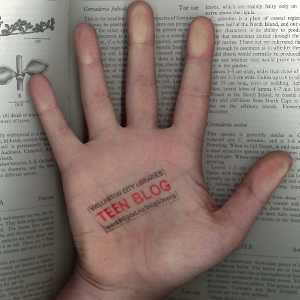 Teen Blog » Blog Archive » Hunger Games Quiz – Entries Close Today! Hunger Games Quiz – Entries Close Today! Quick, you guys! You only have until 5:30pm today to enter the Hunger Games quiz on our Facebook page! Someone will win the $100 iTunes voucher today – if you click some buttons and type in your name and library card number it could easily, easily be you. Follow this link, then follow the instructions on the page to be in with a chance to win. While you’re on our Facebook page, don’t forget to “like” it, there’ll be more quizzes coming soon and this is the best way to hear about them.